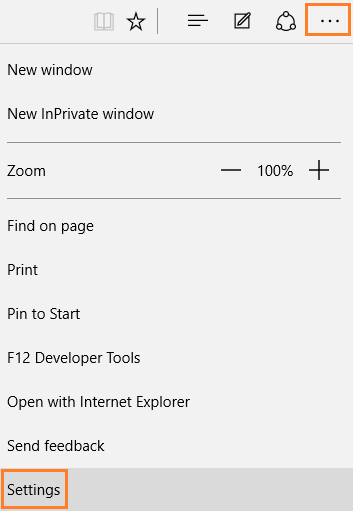 The edge browser of windows 10 has adobe flash player enabled by default in it. Now, it automatically updates flash to latest version when it upgrades itself. But, Do you know that Open source browser firefox have dumped flash due to chances of an adware infection and plugin vulnerabilities . Some users also claim that flash integrated with edge is responsible for a high cpu usage by edge in windows 10. 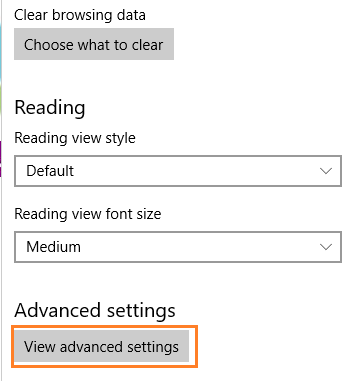 So, if you want to disable the flash in edge. follow the steps provided in this article to disable flash in edge in just few steps. Step 1 – Now, click on three dots at the top of edge browser. After that click on settings. 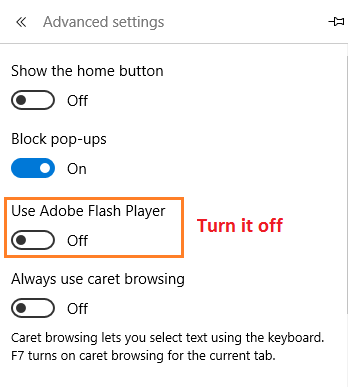 Step 3 – now, turn off the radio button of adobe flash player to disable flash. If you ever change your mind to use flash again , just go through same method and turn flash on in edge.